Sweat and Butter Journal: It's Raining Fad Diets: Will Yours Be Washed Away? It's Raining Fad Diets: Will Yours Be Washed Away? Trendy diets come and go. Remember these guys? Critics of fad diets recommend that dieters find "the diet that's right for you! ", and this is largely advice that we support at Sweat and Butter. The problem with this recommendation as a core tenet of nutrition advice is that it ignores those concepts in human physiology, biochemistry, and exercise science that we know work. For example, losing weight could, indeed, be accomplished through starvation. Just because this "works for you" doesn't mean that it's a healthy or lasting way to go about achieving your ideal weight. Likewise, you may not tolerate certain supplements that many of your friends recommend. Many of the most successful diets are those that steer the focus away from weight loss and towards performance or longevity. Anybody that has successfully lost and kept off the extra inches around their waistline can attest to this: when you feel great and can go through your day without feeling like you're starving, the environment is more conducive for healthy habit formation. My good friend, Hamilton Stapell, PhD, asked precisely this question. He presented his research and thoughts on the topic through a trilogy of excellent talks covering the past, present, and future of the Ancestral Health movement. In its infancy, this movement started as the Paleo diet (aka Caveman diet), which was especially popular among Crossfit gyms and non-Western medical thinkers. The diet's popularity catapulted the movement into classrooms, academic journals, and doctors' offices. Dr. Stapell is a historian, so he naturally started by investigating the origins of the Ancestral Health movement. His first talk of the trilogy (Ancestral Health Symposium 2012) looked at the Physical Culture movement of the mid-19th to early-20th centuries. This movement started slow, in a similar fashion to the Ancestral Health movement. It originated in Germany, Scandanavia, and England, and it slowly spread to the United States. An excerpt from a book titled Athletics for physical culture states: "It is reasonably certain that man was originally made to live and exercise in the open air, bathe in rivers, [and] expose his body to the healthful action of the sun without even the protection of clothing." This is strikingly similar to the overriding message of the Ancestral Health movement: if your evolutionary ancestors did it, then it's probably better for you than the alternative. Eventually, the Physical Culture movement migrated to the United States through European immigrants and was gradually adopted into physical education programs within American school systems. The movement persisted through the 1920s, where it became popular in military academies. During the World Wars, the movement fizzled out, and we haven't heard much since. Fast forward to the 21st century, and you find that the Ancestral Health movement prescribes many of the same principles as the physical culture movement: lift heavy things, embrace the sun, eat unprocessed foods, and be one with nature. Many of the principles pushed by Ancestral Health advocates began on the fringe before their adoption into the leagues of the movement's followers. Dr. Stapell commented on this in an interview with NPR: "Weightlifting was at first seen as a peculiar activity 100 years ago in the same way that CrossFit and Vibram FiveFinger shoes seemed extreme when they first appeared a few years ago." If you've ever attempted lifestyle modification yourself, you have probably faced difficulties in getting friends and family to support your new ways. "No bread or pasta? What do you eat?! (Sound familiar?) An important reason for which people find it difficult to adopt a healthier lifestyle is the lack of a strong support system. The modern Paleo movement - like the Physical Culture movement - demands that you deny yourself highly palatable foods, learn new skills in the kitchen, and acknowledge information that contradicts things that we've taken as truth since childhood. In other words: It's hard work! Perhaps this is why the Physical Culture movement failed. Cupcakes obliterate broccoli in vying for our tongue's attention, which is why building healthy habits around eating the latter is a huge challenge! Dr. Stapell's research corroborates our health coaching experience at Sweat and Butter. The majority of our clients are motivated individuals that know that they need to change and are driven to make massive lifestyle overhauls. As you might expect, this leaves a lot of the people who need health coaching on the outside looking in. The latter are so conditioned to failure that they are intimidated by the huge changes required of them to become optimally healthy. 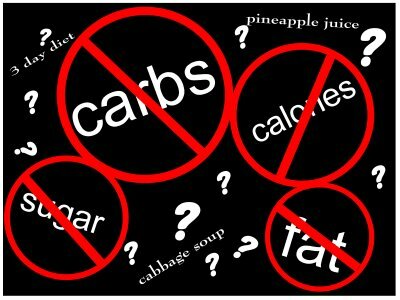 This is our daily struggle as a health coaching company: how can we break down barriers to lifestyle change? Those people who take on Olympic lifting, gluten-free dieting, and rearrangement of daily schedules such that activities are in line with circadian rhythm are in the minority. They fill like-minded lecture halls, hang out with like-minded dieters, and share all of the same posts through social media. As such, they have a false sense of their movement's grip on society. I know this because I've lived a pretty strictly Ancestral lifestyle for nearly five years, and I'm guilty of these things myself. Dr. Stapell showed the trend of the term "Paleo diet" in Google searches over the years in the third of his trilogy of talks (Ancestral Health Symposium 2013). The trend has been downward since the beginning of 2013 despite more books, podcasts, and media coverage than ever before. What sets Sweat and Butter apart from other health and wellness companies is that we provide our clients with good advice in addition to addressing their barriers to establishing healthy, lifelong habits. This means conducting a thorough health history session during which we explore relationships, support within the household, work place drama, and chronic stressors. Without addressing these barriers, it is nearly impossible to convince a 38 year-old overweight mother of two to switch from Hostess to carrot sticks when her stomach begins to grumble around 4:00 pm. This is our challenge! 1. Innovation: "I think I'm going to start a blog." I hear this regularly at health-focused conferences and meet-ups. Somebody finds great health success by adopting a given lifestyle or diet or by implementing the recommendations of top blogs and books, and they decide that they, too, should have a blog and book. One would think that this is a positive thing with regards to improving the lifespan of a movement, but that's not the case. Many lifestyle movements suffer from a condition in which its followers float around the same Facebook groups, listen to the same podcasts, and re-Tweet the same memes. The results you achieve through a specific diet or exercise plan thus tend to plateau in the same way that that movement's popularity plateaus. If a lifestyle movement doesn't evolve, its followers will move to greener pastures when they begin to see a slower rate of change to their waistlines or energy levels. Without continued support for new research and original content development, a movement will slowly die with its original ideas, no matter how effective it may be at helping people look and feel their best. Instead of starting a blog that recycles ideas, it may be more worthwhile to think critically about the current ideas floating around in order to develop stronger supporting evidence and strategies for greater outreach. 2. Diversity: "Isn't that the same thing as the 'caveman' diet?" Through innovation, we can open our reach to different types of people. Dr. Stapell conducted a survey to explore the demographics of Ancestral Health movement by looking specifically at individuals who claim to eat a Paleo diet, and his results, which he presented at the second part of his trilogy (PaleoFx 2013), were surprising. The stereotypical Paleo dieter is a young, shirtless male who eats a lot of meat, but the reality is that most Paleo dieters are middle-aged women that found the diet as a solution to a health problem incompletely addressed by Western medicine. He also found that the majority of Paleo dieters are white, educated, and affluent. Dr. Stapell postulated that the lack of diversity among Paleo dieters will limit its growth. If a movement is going to stand the test of time, adoption by multiple races and ethnicities across the world is vital, as many of our nation's sickest are non-Caucasian. Stapell Survey: Respondents to the survey broken down by race. 3. Accessibility: "People are sick because they're lazy and stupid." In order to increase diversity in a dietary movement, you must increase accessibility. This can only be accomplished if we get over the notion that our nation is sick due to a lazy and stupid population. We treat obesity and diabetes as if those who suffer from these conditions exist in a controlled environment in which they have unlimited time for shopping, cooking, and sleeping but simply choose not to change their ways. While this may be true for some, it certainly doesn't explain why 8% of our population has diabetes. A patient-client experiencing serious gastrointestinal or autoimmune troubles that grew up in a household with minimal cooking, literacy, vegetable consumption, or physical activity is unlikely to respond to casual requests that they overhaul their lives whether recommendations originate from their physician or health coach - period. The bottom line is that people want to feel great, though they often feel disempowered to do so. Numerous gimmicks and fad diets have engrained a large percentage of our population with misinformation. The leaders of a movement need to use innovation, technology, and collaboration to make ideas and research accessible to all demographics in order that people who do become empowered to change their lives have the resources and support to put this stuff into practice. Otherwise, it will fail them like all of the other diets and Jane Fond exercise tapes that promised them results in the past. 4. Collaboration: "I don't think this is sustainable." The most feasible way to increase accessibility to a food movement is by collaborating with professionals in fields outside of the medical sciences. The Ancestral Health movement is beginning to draw the attention of economists, politicians, and corporations, and this is the beacon of hope for the movement's potential to continue to attract followers. Collaboration is intimately related to accessibility, as the movers and shakers of the world are as concerned with economics as with the health of the work force. Robb Wolf's risk assessment project with the Reno police force is a perfect example. Instead of focusing all of our efforts on convincing patients to adopt a clean, vegetable-rich diet with occasional high-intensity training in order to improve the health of patients, why not work with the higher-ups of corporations, universities, and school districts to demonstrate that these concepts work to improve productivity and waistlines? Preaching to conventional medical practitioners about the virtues of a health movement is important, but it has its limitations. Opening the conversation with non-medical professionals expands a movement's reach by showing how lifestyle change can save money, save the earth, and make us healthy. Better reach = sustainability = longevity for a new idea. We still have a lot to learn about human physiology and biochemistry. It's naive to think that we can solve it with novel, gimmicky fad diets, but the fact that we've seen specific life ways and diets come and go should not force us to look beyond nutrition and exercise science for answers to our health woes. The evolution of modern medicine, for example, is still an active process, as things that have been taken for granted are overturned on a daily basis (cholesterol, anyone?). Our concept of disease prevention is taking a similar evolutionary course. As more ideas are adopted and discarded by the public, certain principles that pass the test are being carried forward. It's true that our individual biological make-ups require some degree of lifestyle and diet customization, yet there are some foundational principles that we have tested and observed repeatedly both anecdotally and through controlled trials, and these principles work, so we must be careful not to throw the baby out with the bath water. A plan designed to optimize your health based on these principles is likely to succeed in helping the majority of our population achieve a long, healthy life. It's critical that a contemporary movement dedicated to the prevention of disease focus on innovation, diversity, accessibility, and collaboration in order to break the mold set by so many failed fad diets from the past. If the Ancestral Health movement - or a better alternative - wishes to survive the test of time, it will require an extraordinary effort from both the leaders and followers of the movement to keep it alive, but the good news is that our hard work in testing and implementing the evidence-based principles upon which these movements are founded will assure that these principles live to see another day. A huge archive of Physical Culture Magazine issues can be found here. OTOH, things are considerably different from the Physical Culture days. The Internet enables a much wider audience for discussing an ancestral approach and modern RCTs and public health interventions can show the usefulness. That said, for many (most?) cupcakes still obliterate broccoli. But what's worse is that the gazillion-dollar food and beverage industries like it that way. The markup on the former is a lot more than on the latter! I've thought that the ancestral health community might benefit from diffusion of innovation theory. For this to really catch on, we probably need people to come to it because their family, friends, and co-workers are all doing it, not because some celebrity is. Thanks for the comment, Beth! I completely agree with your point about the price of food. Regarding innovation, a great motivator at Sweat and Butter is the both the dissemination and elaboration of principles that we have had great success with both in our personal lives and in the coaching of our clients. Hopefully you'll help us out in advancing lifestyle modification as a means of preventing disease! Just to be clear, my point was less about the price of food and more about the lengths to which the food & beverage industries will fight interventions that may affect their bottom line wrt profit. Some folks are more optimistic than others about the extent to which industry will help in this regard, but more often than not, our interests and theirs aren't very complementary!